Kale is a super food. This leafy green cruciferous powerhouse vegetable is all the talk on TV health shows and many health related blogs and websites. Kale is something you can incorporate into almost any meal you make, making it easy to get a good amount of its benefits on a daily basis. There are all kinds of recipes around that include kale such as smoothies, soups and stews, and even a frittata! 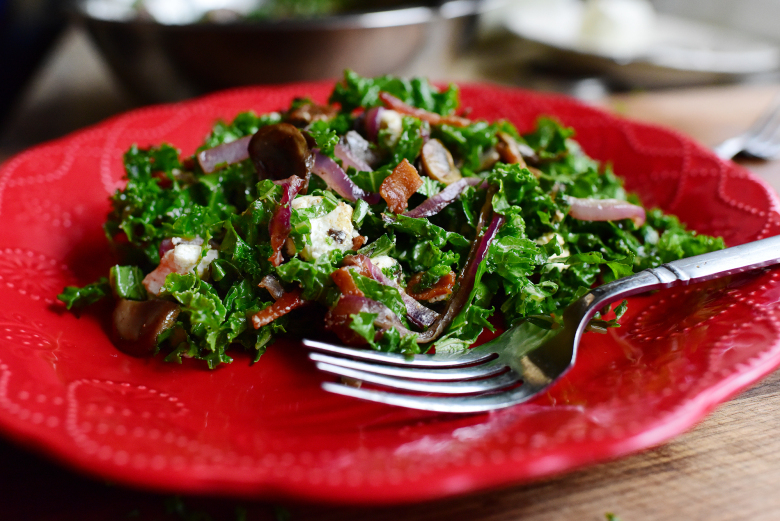 So, if you don’t like kale prepared one way, there’s probably another way you could incorporate it into your diet that you would like. The following are 7 of the health benefits you can get from eating Kale. Kale is a great anti-inflammatory food. Inflammation in the body is what causes a lot of our diseases and much of our pain such as arthritis. The omega-3 fatty acids in kale are what helps arthritis pain and other autoimmune issues. Kale also has vitamin C, which helps stiff joints associated with arthritis. Kale can also fight against asthma. One cup of kale has only 36 calories and no fat. For this reason, you can eat as much kale as you want without worrying about any added weight issues. Because of its fiber content, 5g in one cup, it aids in your digestion and elimination. The vitamin C helps to boost your metabolism, which is essential in trying to lose weight. Kale has more iron than beef. For this reason, it helps to get more oxygen into your blood and promotes healthy cell growth, and a healthy liver function. It can also help in reducing the risk of anemia. Kale is filled with antioxidants and phytochemicals which studies show have anti-cancer properties. This makes kale one of the best cancer-fighting foods, helping to prevent cancers like ovarian, colon, breast and prostate cancers. Kale is high in vitamin K, which is essential for good bone health. It has also been shown to help people with Alzheimer’s disease. In addition, it contains calcium and magnesium, which is also important for bone health, and for strong teeth as well. Kale is also high in vitamin A and lutein, which can help prevent blindness or cataracts caused by UV rays, or any other eye disorders that come with age. Vitamin A also may help prevent lung cancer. Kale has lots of fiber and sulfur, which makes it a great detoxifier. Eating kale helps to keep your liver healthy, and eliminates free radicals and toxins in the body.